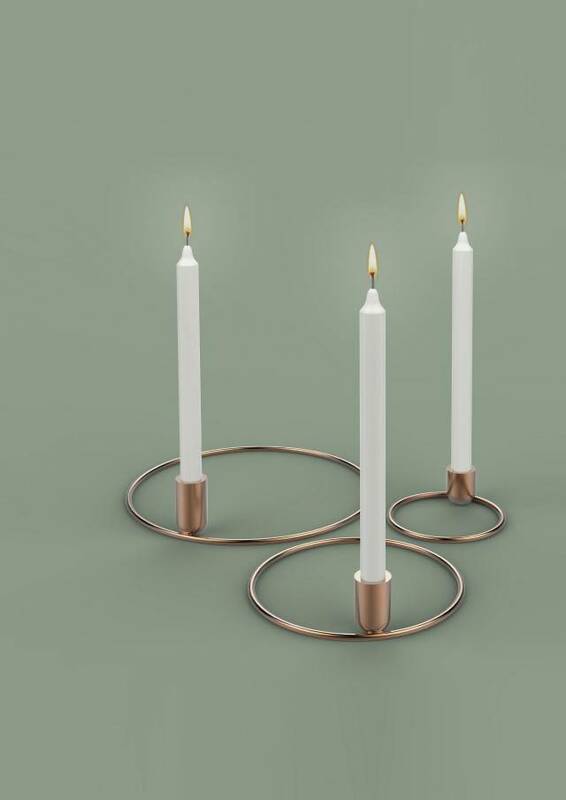 The "Orbital" candleholder collection is inspired by movement. 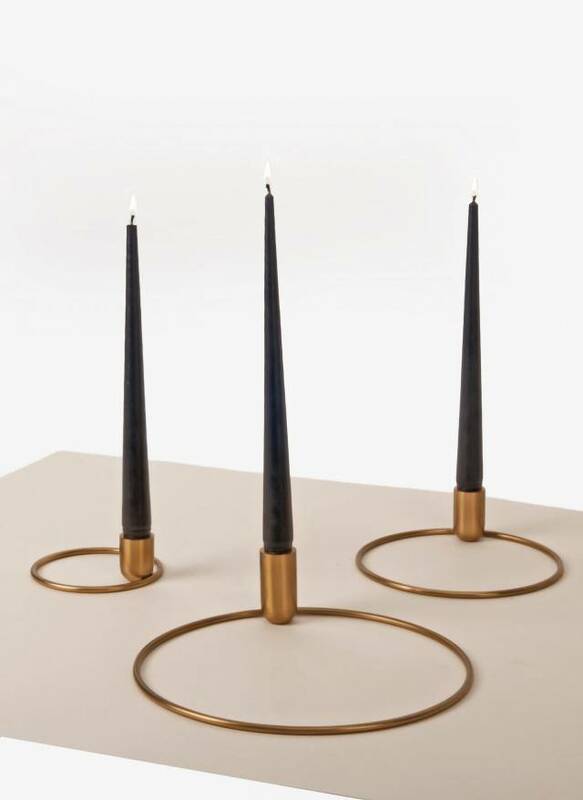 The candleholders are meant to be graphic and playful elements. 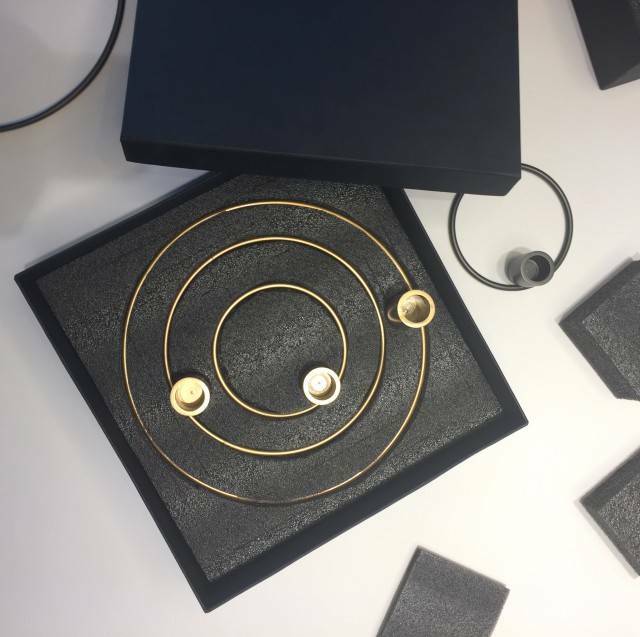 They give the possibility to create all sorts of graphic combinations using the tree different sizes. 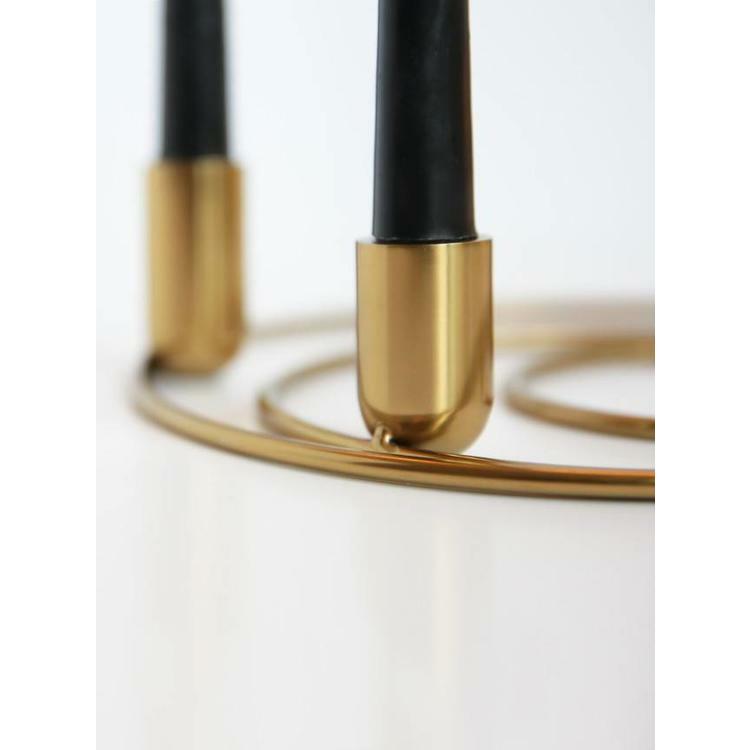 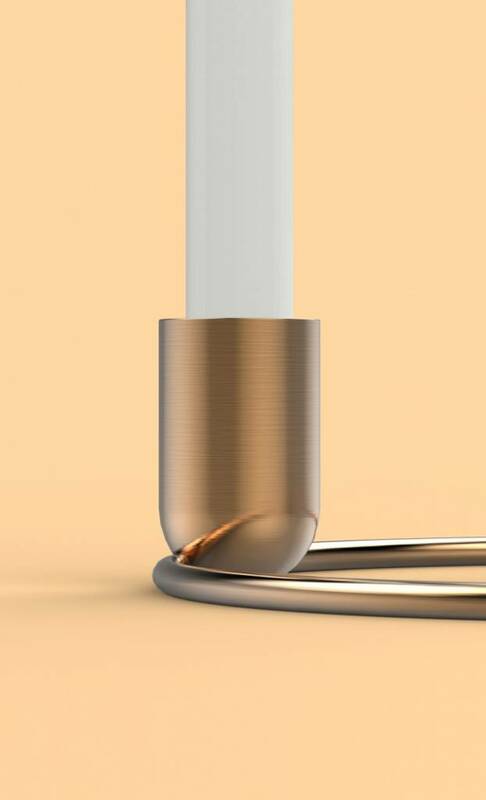 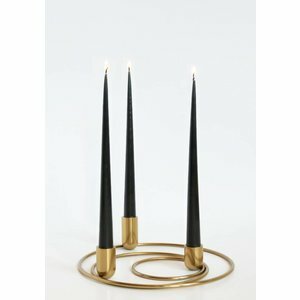 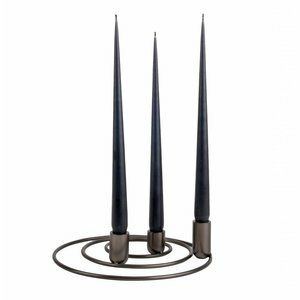 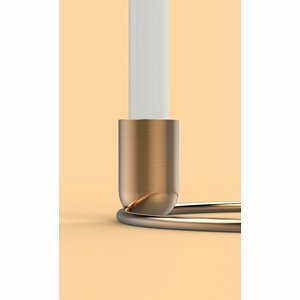 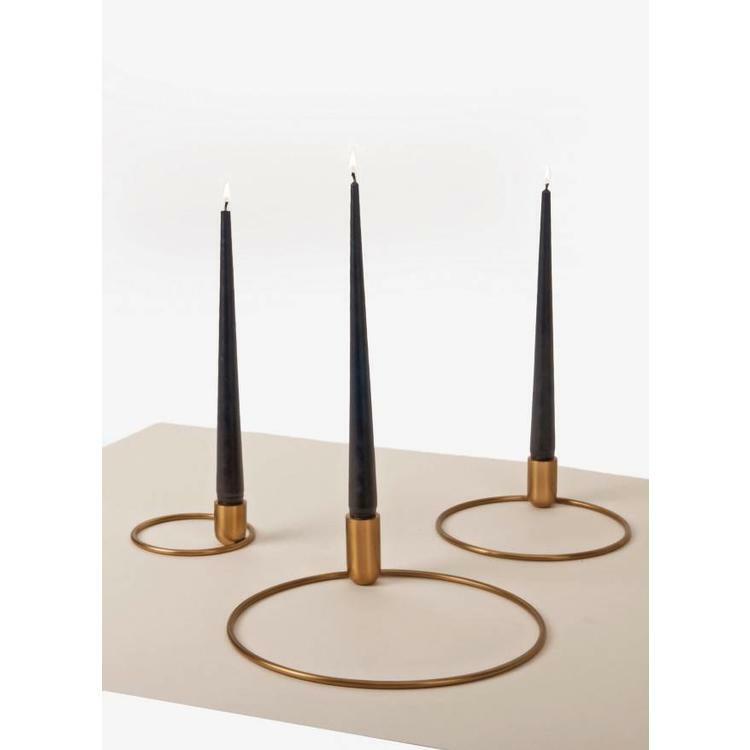 This Orbital Candleholder by Alain Gilles allows you to be infinitely creative when setting the table or decorating the side table in your living room. 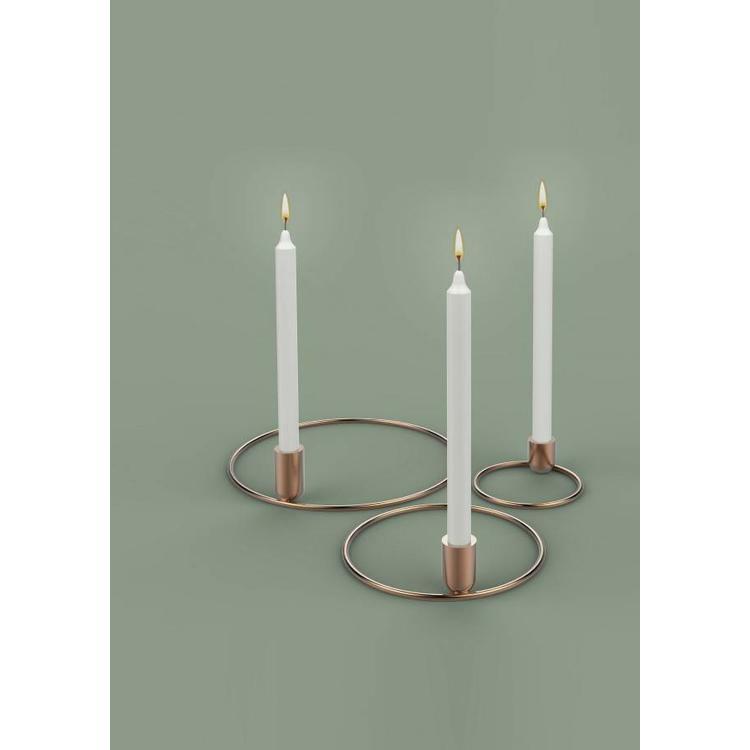 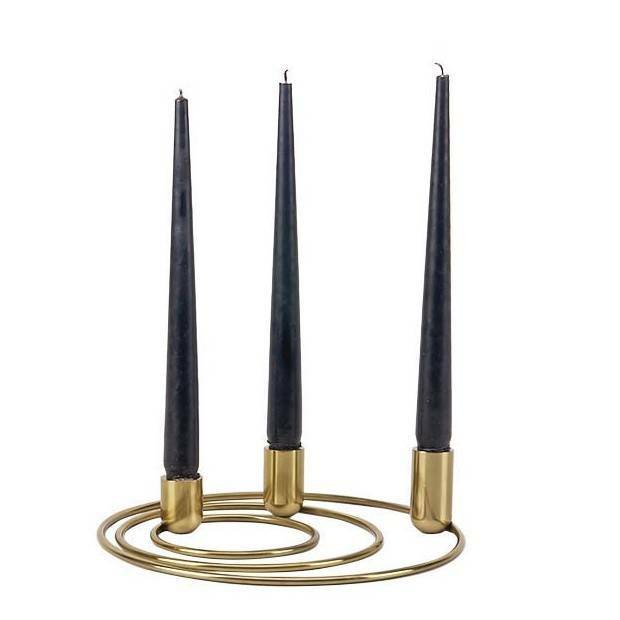 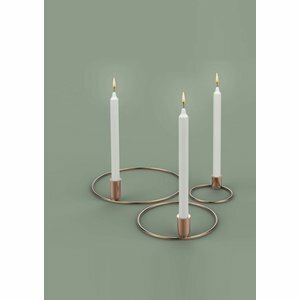 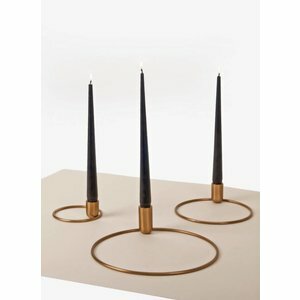 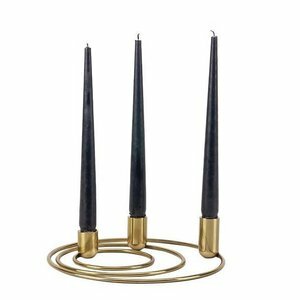 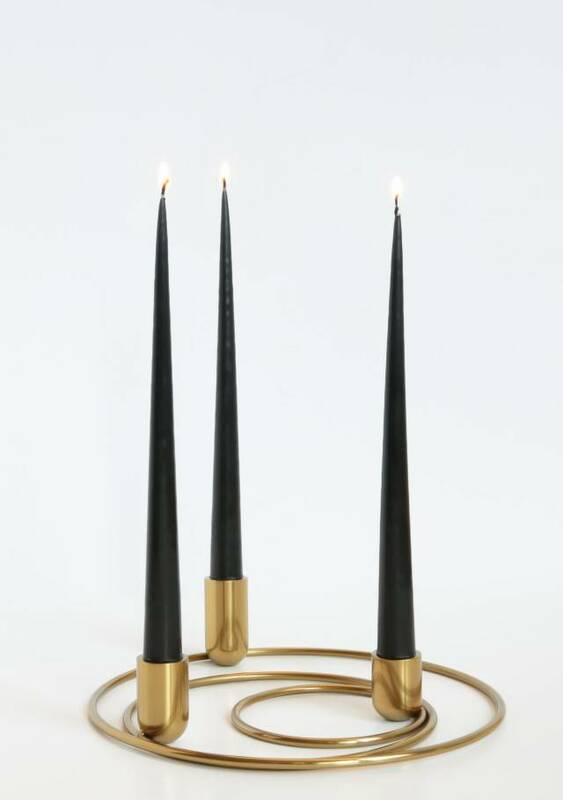 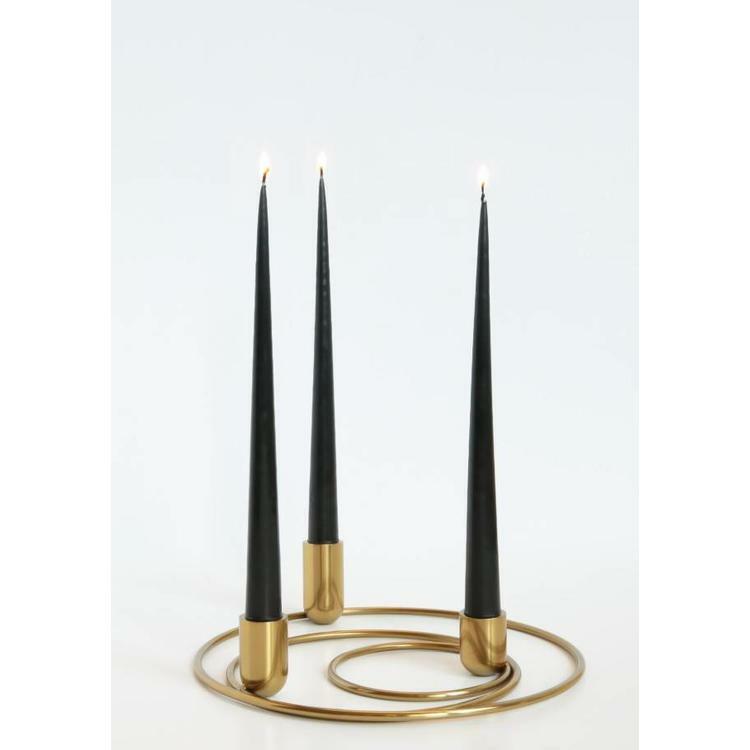 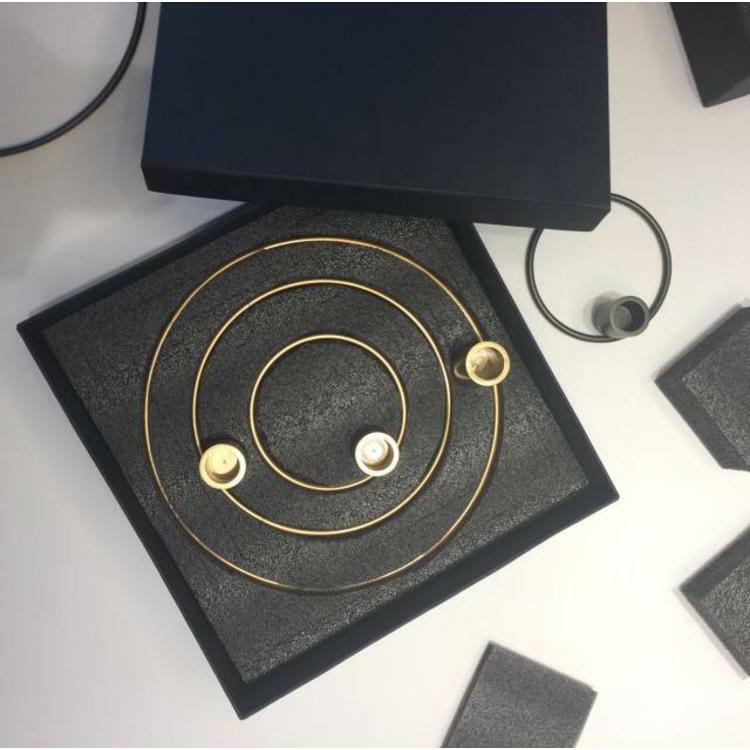 Orbital comes in a set of three distinguished candleholders, its ring-shaped standards referring to the planets. By putting the holders inside of or next to each other, the playful interaction reminds of the planets' movement in the galaxy. 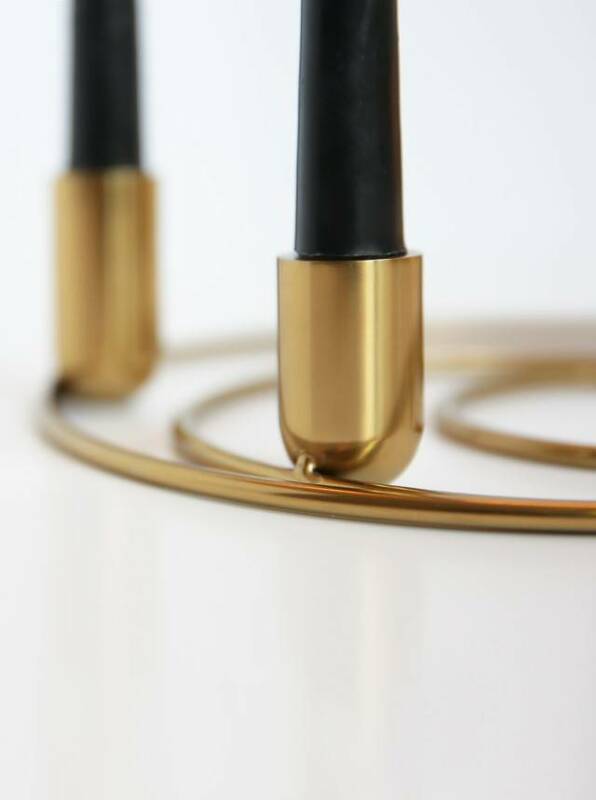 You will absolutely love the view of these curious minimalist objects.